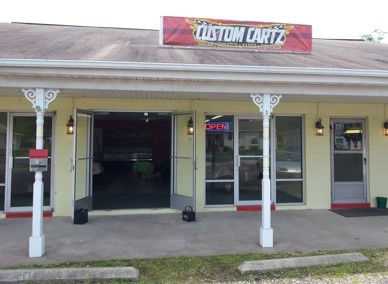 Let Custom Cartz take your ride from mild to wild! This relatively new business at the beach is branching out from their original location in Fredericksburg on Cool Springs Road. 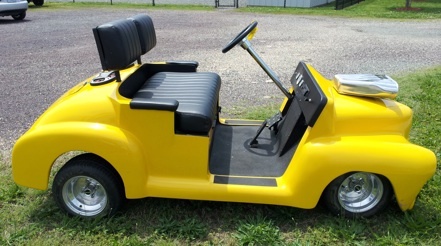 They can customize your cart to your specifications. Beef up the suspension, install some new wheels, a paint job, a stereo system, a lift kit, upholstery, street legal accessories and more. You name it, they can do it! Rentals, sales, service, repair (by factory-trained technicians), parts and accessories can all be found at their shop located between Pearson's Seafood and the Barber Shop. (The former Whole 9 Yards store location). 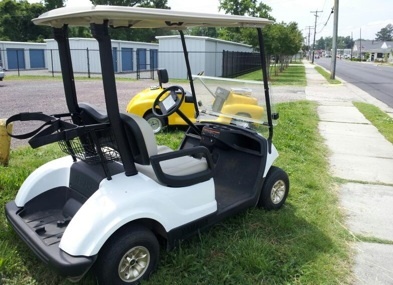 They feature Yamaha and Star Electric brand golf carts, plus they have pre-owned models and trade-ins for a low cost alternative to a new machine. Financing is available. Stop by soon and take a look at their inventory.